Step back in time with Richmond's famous Time Travelers' Weekend. The printable passport will give you free entry into over a dozen museums and historic homes. Tour the grounds among costumed actors in period dress, learning about Richmond's fascinating place in history. This is the perfect time of year for visiting RVA's historic homes and gardens. TICKETS: Download and print the Time Travelers' Passport here or show it on your mobile device. You'll be saving anywhere from $3-10 per person at each venue! Keep in mind, each venue will be waiving their entrance fees, but certain services will still have a cost. For example, at Maymont, the self-guided tour of the mansion and grounds are free, but there will be a fee for carriage rides. Don't forget to visit their petting zoo -- they have plenty of cuddly critters for the little ones to feed! 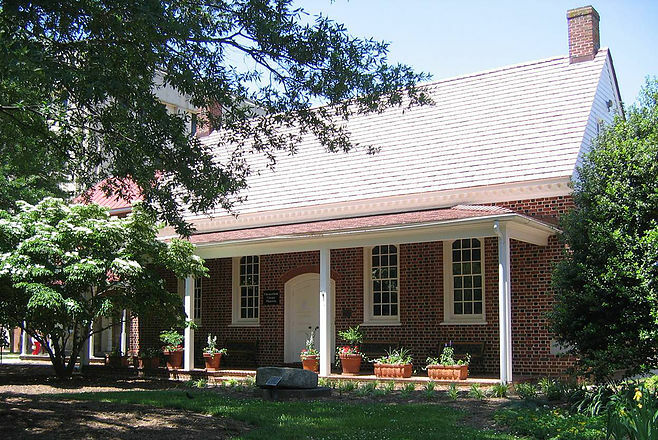 The Edgar Allan Poe Museum is a must-see for lovers of literature, and the Chimborazo Medical Museum's collection of historic surgical tools will give you the shivers. It's a bit early for garden displays, but with crocuses and daffodils in full bloom right now, some of the historical homes will be alive with color. For more information about this special event, visit the website or Facebook page for the venues listed above. Are you looking forward to using your Time Travelers' Passport? Which RVA venues are your favorites? Let us know in the comments below! Richmond has fascinating history. Learn how each RVA neighborhood got its name!